So it’s my third day in a row of passover baking, and I am already bored. Everything is so similar in texture when you don’t use flour – or even matzah meal! I’m ready for something a little bit different, and I am sure y’all are too. I don’t have time for a full post, but I did want to share this recipe. It was originally published last year in my column for Ami Magazine, but in case you missed it, totally make these. They aren’t soft and chewy, rather thin, crispy, and wafer like. It’s a nice change of pace – plus it would make a perfect crunchy accompaniment to some chocolate ice cream or mousse for a fabulous holiday dessert! Combine all ingredients except almonds in a small bowl. Stir to combine. Spoon out approximately a teaspoon of the batter and spread into a circle on the parchment paper, about 3 inches. (See tip.) Spread the batter very thin, as the thinner the batter is spread the crunchier and better the cookie will be. 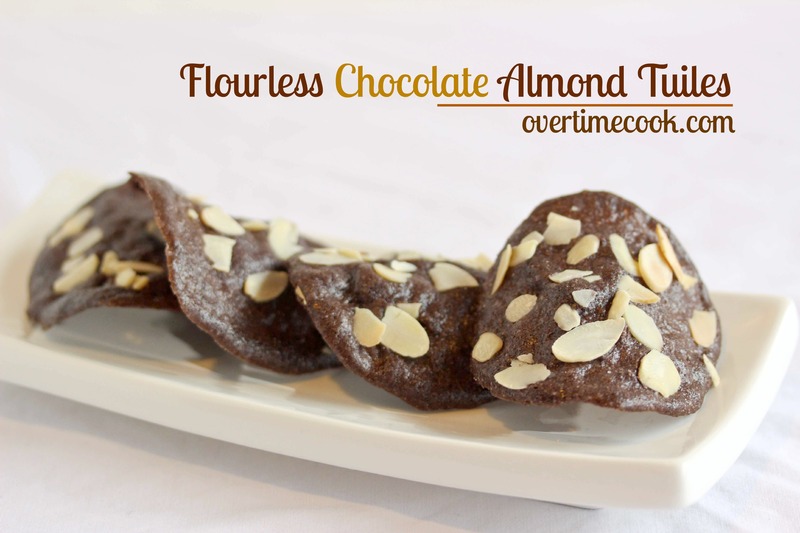 Sprinkle a couple of sliced almonds on each cookie, then place in oven and bake at 350 for 6-7 minutes. Make 6 cookies per tray. When cookies come out of the oven, immediately remove them from tray with a spatula and drape over a rolling pin, wine bottle, or other rounded shape. As cookies cool, they will harden in that shape, giving them the signature “tuile” look. -Do not be tempted to make more than six cookies per tray, as they need to be shaped while very hot, and you won’t have time to do more than six. -If cookies cool too much to be shaped before you shape them, place them back in the oven for about 30 seconds to become more pliable. -To get uniform circles: turn the parchment paper over and trace 6 circles (use a cup) with a marker. The marker will show through on the other side when you are shaping the cookies, leaving a guide. Wow. These are so pretty, and so original for Pesach. Gorgeous ice cream garnish idea! Yummy, they look very pretty! These look so yummy and so delicate! 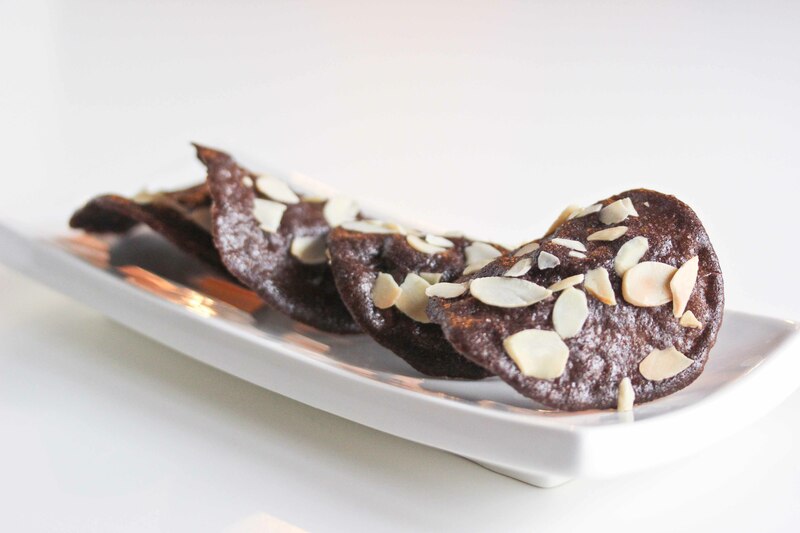 To enhance the almond flavor, do you think you could swap the potato starch for almond flour?